Explosion is a new visitor experience on the shores of Gosport within Priddy's Hard and tells the story of naval firepower from gunpowder to the Exocet. It is housed in historic buildings at Priddy's Hard and is part of a £3.5 million project funded by the Millennium Commission as part of the Renaissance of Portsmouth Harbour Millennium Scheme. The museum is housed in a group of buildings which centre around the original powder magazine of 1777. 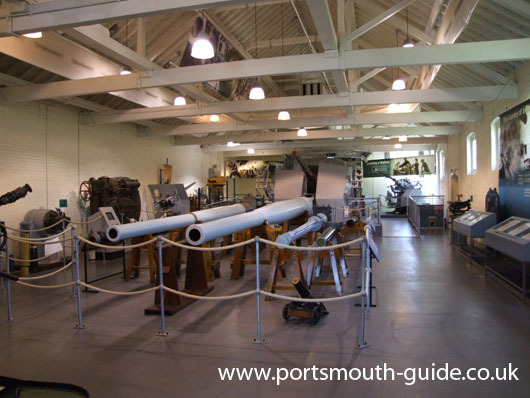 The museum's unique collection was mostly assembled by superintendents of the former Naval Armaments Depot at Priddy's Hard. Throughout the exhibition, the story is brought to life with dramatic audio-visual effects, interactive computer and hands-on displays. Explosion is the centre piece of a 22 acre area acquired by Gosport Borough Council from the MOD in 1994. The Explosion museum traces the development of Naval armaments from gunpowder to modern times and the Exocet missile. The museum also looks at the historic aspects of the buildings the museum is contained within. One exhibition tells the story of how during World War II 2,500 women worked on the site. In 1759 the Board of Ordnance purchased 40 acres of land from Jane Priddy to construct an earth rampart as part of the defences of Portsmouth Harbour. Soon afterwards, the Board decided to relocate the gunpowder stores from Portsmouth to Priddy's Hard for safety reasons. This lead to the construction of a powder magazine together with an office, cooperage and adjoining camber basin. In 1777 the first barrels of powder were moved in from Portsmouth’s Square Tower. During the 19th century further magazines and buildings were added including the installation of a narrow gauge railway system across the whole site and the construction of piers on the Harbour. The site was last used for significant naval activity during the Falklands Conflict in 1982 and was vacated in 1988. The museum is based around a historic collection of artefacts assembled over many years by former Superintendents of the depot. In 1994 the collection was acquired by Gosport Borough Council and using a grant from the Millennium Commission the museum was created. The museum features a multimedia show telling the story of Priddy's Hard and is housed in the original gunpowder magazine from 1771 with the adjoining buildings housing the rest of the museum's galleries. The museum was formally opened on 30th April 2001 by HRH The Duke Of York. 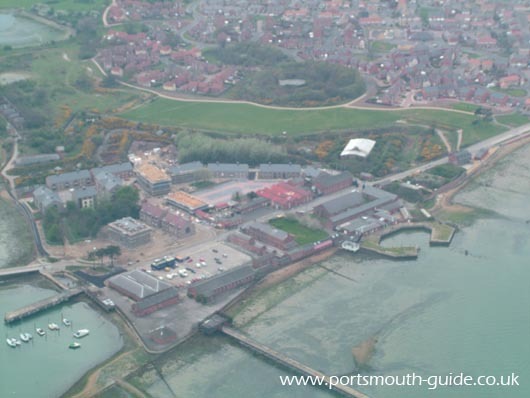 The munitions for the Navy used to be held in the gunpowder magazine at he Square Tower in Old Portsmouth but the board of Ordnance looked for alternative sites that were safer. Priddy's Hard was considered a good secure and remote location. Captain Archer of the Royal Engineers designed the Poert Magazine with 2.5metre thick walls. In May 1777 Lieutenant Colonel William Beache became the first Storekeeper at Priddy's Hard Magazine Depot.